>Are there health problems and ailments you’d rather not have? >Do you want to turbo-charge your vitality? >Do you wish to make healthy eating fun and tasty? “Peter, I have found the whole day great value for money. I have learnt a tremendous amount about nutrition, and am amazed at how tasty and satisfying raw food can be. Particularly excited about the sweet foods, and particularly the fact that I can put chocolate back into my diet, as I thought that to be healthy I had to eliminate those naughty foods from my diet. I feel really tremendous about the whole day!! Eat and enjoy the taste sensations! The South American seed that makes you HAPPY and CLEVER. The little red berry that tells your body to secrete the FOUNTAIN of YOUTH HORMONE that makes you young and vital. (Necessary for anyone over 30). Double your beauty and increase your good looks: SKIN, HAIR and NAILS – with the secret element found in rainwater (but not in tap water or bottled water). How to BUILD INCREDIBLE BLOOD. – After lunch on the day you will have a full explanation with photos of how incredible blood and therefore BRAIN POWER and ENERGY is created or destroyed. How to DOUBLE YOUR FERTILITY by eating this radish. One of the best indicators of your health is your fertility. They go hand in hand since the whole of nature’s scheme for you is to be strong and a healthy enough to reproduce – or otherwise eliminate you with death and disease and make room for the young studs and vixens. Anti viral, anti parasitical, and anti fungal – protect yourself from all things nasty with this oil from the Caribbean. THE ULTIMATE CHOCOLATE MILKSHAKE slow down the rate of ageing, live longer, improve your brain power and increase your heart health! “I am totally converted to trying completely raw food as it was truly a delight for the senses, eyes and taste buds. It reminded us the food can be fun, nurturing + delicious with no guilt attached. Thanks for injecting the fun back into eating healthy + giving us a real incentive to continue growing our vitality. 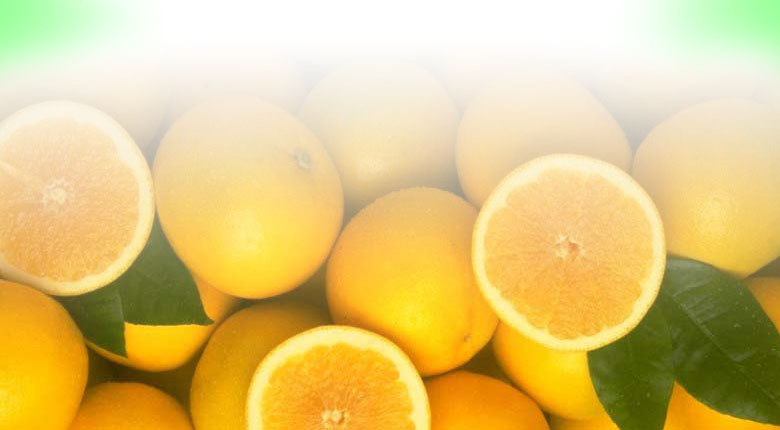 Introduction to THERAPEUTIC JUICING and how to make tasty drinks. A confusion of dietary ideas: Atkins, muscle building, ph/alkaline, glycemic, ORAC/ antioxidant, vitamins and minerals, cleansing, vegan, vegetarian, macrobiotic, Mediterranean, carnivore – what messages can we take from these contradicting theories about how to create a perfect diet. SUPERFOODS and Whole food Superstars – the foods that change your destiny. Thank you for a fabulous fun day, full of nutritional gourmet delights and words of wisdom. Inspirational, and great value: cannot wait for the follow-on courses. Congratulations, I loved every minute. Today was an eye-opener on the various things we can do with natural, raw food to make it enjoyable for everyone. Seeing it all being prepared in front of you while having the benefits explained to you brought it all home especially when you finally taste the results. Between the salads and the mango raw chocolate sauce desert, the whole day was pleasing to the mouth and filling to the belly. The time passed quickly too. Once you taste this stuff, you will see no real reason NOT to bring it into your daily life. Phone us on 01733 759648 and book your seats straight away because the start of the year is always our busiest time when people want and need to improve their health, and we can only accommodate 20 people maximum per class – first come first served! 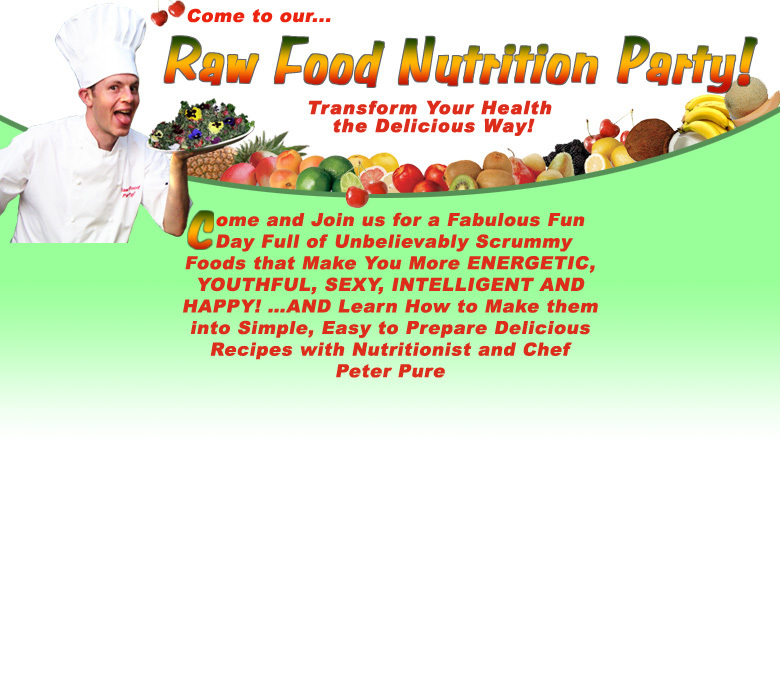 Attend my Raw Food Nutrition Party! and check it out for yourself. If by the end of desert at lunch time (around 1pm) you don’t feel as if my course is good value for money you may leave and I will promptly issue you a full refund. In addition, to thank you for taking your time and energy to spend with me I will also give you my £10 raw food work book for free – yours to keep and take home with you. Click here to view Raw Food Party dates. *This is what most clients who follow through on a raw food diet experience. It is not however any guarantee or promise that you will also experience the same.